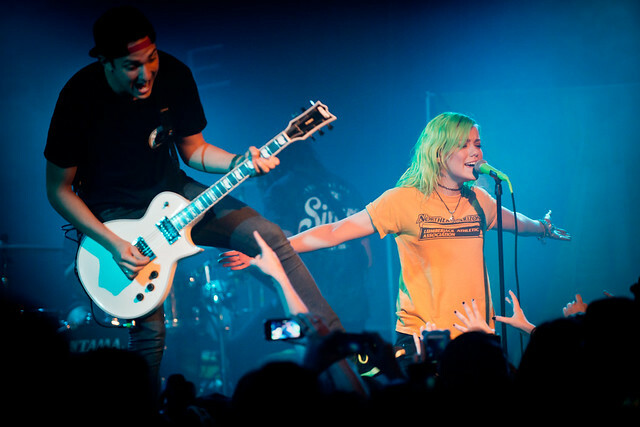 Tonight Alive joins Taking Back Sunday and The Used on tour in March. Today, news broke that Australian power rocker Tonight Alive will be heading back to the U.S. this Spring to support The Used and Taking Back Sunday's upcoming co-headlining tour. Last year, Tonight Alive, lead by the fiery Jenna McDougall, released their critically acclaimed sophomore album The Other Side that spawned the hit singles "Lonely Girl," "The Ocean," and "Come Home." They will join the tour when it hits Phoenix on March 18th and stay on until the end of April in Florida. They make their Los Angeles appearance when they play the famed Hollywood Palladium on March 27th. The Other Side can be streamed now with exclusive Track-by-Track commentary at http://bit.ly/1e3yPh2 and is also available on iTunes and local retailers.